SoundStage! Simplifi | SoundStageSimplifi.com - Why "Simplifi"
The hi-fi industry has flatlined. Yes, people still buy audio gear, and there’s no shortage of manufacturers, including many new ones, stepping up to sell it to them -- but, overall, growth is stagnant. The most recent report on home audio components from the Consumer Technology Association projected just 6.7% growth in 2015 -- and that figure includes soundbars, a category that automatically enjoys robust sales, due to the universally awful sound of the built-in speakers of flat-panel TVs. On a more rah-rah note, headphones, high-resolution audio formats, and computer-based playback have all injected new energy into hi-fi, and steered some attention to it from the mainstream. The vinyl resurgence, too, has stirred up excitement. More important, LPs have attracted the interest of millennials, some of whom have been inspired to splurge on their first real audio component: a turntable. But can a hipster’s first record player be depended upon to serve as a gateway drug to the audiophile lifestyle? As you ponder that question, put yourself in the mindset of newbies seeking an audio experience that exceeds what they typically get from earbuds and laptop computer speakers. What must they contend with? Here’s what: boring boxes, inelegant cables, and fussy setup. Room treatments. The sweet spot. Cumbersome speakers that jut several feet into the living space. To folks who’ve spent a chunk of their life pursuing good sound -- I’m one of them -- all of those things are part of the game: We accept them. But when you view the situation from a wider perspective, you see how it might not hold much appeal for the average person. Hell, it may no longer hold much appeal for you. What, then, should we expect from a forward-looking audio product -- one we could appreciate ourselves, but also recommend to curious friends and neighbors? No.1 is a no-brainer: It must embrace wireless technology. The ubiquity of smartphones, tablets, and Wi-Fi has created a robust ecosystem within which A/V signals can be accessed, played, and bounced around the home. In this environment, traditional wires seem not merely quaint, but relics from RadioShack days. Expectation No.2: The product should be integrated and easy to set up. The complexity of much A/V gear has gotten completely out of hand. An example: A typical middle-of-the-road Denon receiver comes with a 340-page user’s manual written in language so inscrutable that independent Denon/English dictionaries have sprouted up online to assist legions of baffled Denon owners. If a product’s box contains anything more than a power cable and a note pointing to a control-app download, it’s likely on the wrong track. Setup, meanwhile, must be automated: The product should tell you -- via touch, audio, or visual feedback -- how it needs to be configured. Expectation No.3: The product must be simple to use. Once you connect with your device via AirPlay, Play-Fi, Bluetooth, or whatever wireless protocol you’re using, it should automatically turn on and start streaming from Spotify, Tidal, Internet Radio, or whatever source you regularly listen to. It should also be capable of device-free operation: If you find yourself in a situation where your phone has run low on battery power, you must be able to physically interact with the product and control it via touch, gesture, or voice. In fact, voice control is a fertile new frontier for not only audio gear, but all manner of electronics. At this point you might be thinking, “What you’re talking about sounds like that new stuff from Google and Amazon. I have no interest in buying, or even reading about, cheap plastic speakers sold by data-slurping, drone-dispatching cloud-service providers.” While the system-control possibilities of such products are intriguing, and certainly worthy of coverage here, they’re not what I’m talking about. Another SoundStage! site, SoundStage! Xperience, provides regular coverage of Bluetooth speakers, some of them offering very good performance for the cost. Simplifi won’t be reviewing those. What we will cover are more ambitious products that provide better-than-Bluetooth sound. 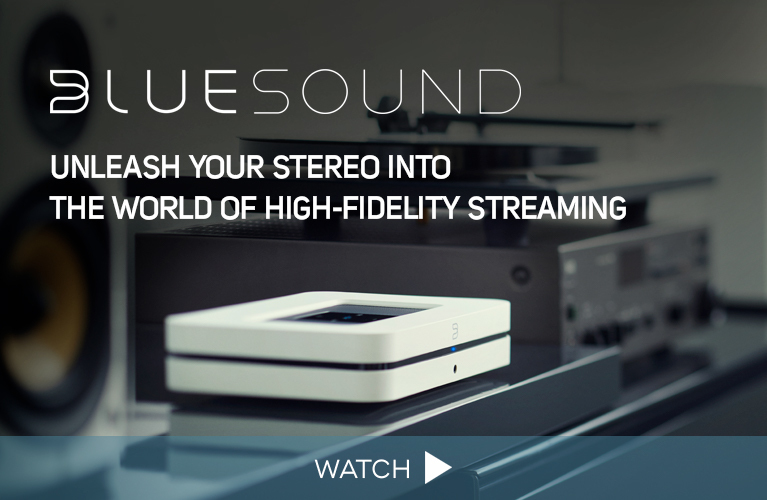 An ability to handle uncompressed audio, whether delivered via Apple AirPlay, Google Cast, Powerline Ethernet -- or even a direct analog connection (turntables!) -- is a minimum expectation. So is interesting industrial design: We intend to write about products that are pleasurable to look at and to operate. Simplifi emerged in response to a growing trend we at SoundStage! have witnessed: of manufacturers creating products that straddle the niches of high-performance audio and lifestyle design. Such products are out there in increasing numbers, and we’ll report on them. The final topic I want to discuss is how we intend to cover this new category of design-savvy, tech-forward hi-fi. 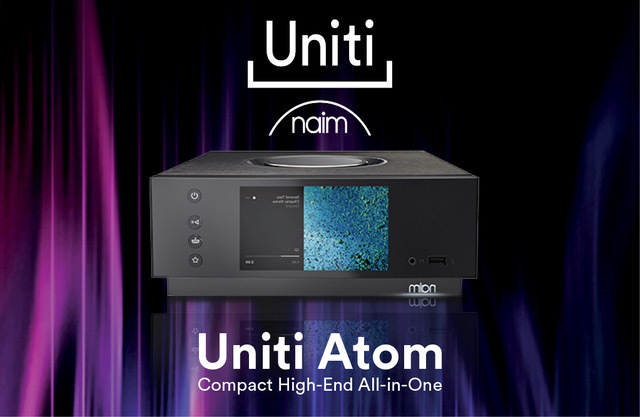 Recently, I read a review of Naim’s Mu-so, precursor to the Mu-so Qb. The writer, a respected figure in the audio scene, is one whose subjective take on a product I would generally trust. However, his assessment of the Mu-so, a product that hits most of the high points that I’ve laid out in this editorial, insisted on comparing its performance to that of an integrated amplifier hooked up to a pair of bookshelf speakers. You know, stuff you connect with wires. I was surprised to see how thoroughly this writer had missed the point. Far down in the usual audiophile discussion of soundstage precision and midrange clarity, there finally came his acknowledgment that the Mu-so delivers what its buyers want -- so much so that Naim dealers often end up selling multiple Mu-sos to satisfied customers so they can set them up in different rooms. (Multiroom playback and control is another feature provided by many of the products you’ll read about on this site.) A product that delivers what people want? Who cares? That orange isn’t as good as this apple! We won’t make that mistake here. Simplifi was conceived with a very specific product type in mind, and we’ll hew to that category with the utmost rigor. Our main reason for this is that we think it represents how people will experience music in the future: in ways that are integrated, design-conscious, high-performance -- and, above all, simple. Welcome to that new world.